Getting kids to read is not as simple as it used to be. But the importance of reading hasn’t changed. Even though it’s still possible to find bookworms among young people today, they’re harder to find than they were a couple of generations ago. But the importance of reading hasn’t changed. Neither has the importance of reading to children. Since the focus of this website is children’s literature and offering ideas on how to get children reading, I decided to include a page that focuses specifically on ways to motivate children to pick up a book and start reading. The reading strategies I’ve included on this page are only a few of the many that are out there. I encourage you to look for others, either on the Internet, your local library, or a bookstore. Ask teachers for suggestions about reading activities that have worked for them. Teaching supply stores are other good resources, and the sales people working there are usually knowledgeable about the most popular curriculum and reading games being used by teachers and parents. Although reading websites for kids are great for encouraging online reading at home, your local library is still one of the best resources you have for helping your child find books they’ll enjoy reading. Do you need easy-to-read books? Kids’ craft books? Suggestions on the best activity books for kids? Ask the children’s librarian at your library for suggestions. He or she is one of your best resources. 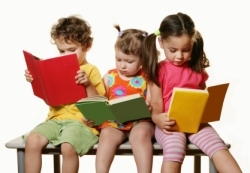 Join a Children's Book Club! Some of the best online resources for encouraging your child to read are children’s books clubs. The information and services they offer varies from club to club, but most offer literacy programs, community reading programs, book lists, and links to other related organizations. Some also have information on authors and illustrators. If you’re interested in starting a children’s book club of your own, take a look at this website. 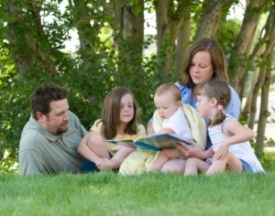 Chances are, if you’re using this website to find information on how to help your child become a better reader, you already understand the importance of reading to your child’s future success. You may even be an avid reader yourself. If so, that’s great. 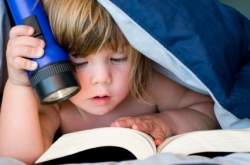 The more your child sees you reading, the more he or she will want to read. I was reminded of this recently when my son saw me reading a paperback that I couldn’t put down. He asked me what it was about, then went into his room to look for a book of his own to read. I didn’t really notice what he was reading until a little later when he told me he’d started reading Black Beauty – a book he’d gotten for Christmas three years earlier. He’s thoroughly enjoying it now, and I honestly do think the “trigger” that caused him to think of reading that night (instead of playing with his DS) was seeing ME excited about reading. Regardless of how many reading exercises and games you do with your child, the best way to inspire a child to start reading is to pick up a book of your own. And don’t forget to schedule some “read-aloud” time with your child. Maybe you can each take turns picking out the next book!